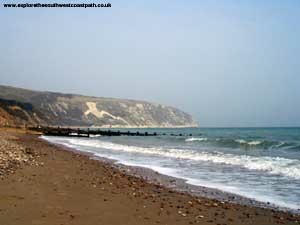 This walk begins in the popular resort of Swanage, with it's excellent blue-flag beach and wonderful scenery. 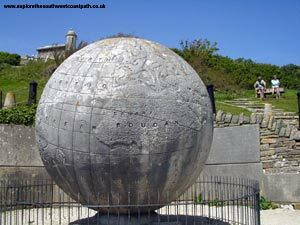 The coast path climbs out of Swanage and through Durlston Country Park, where there is a visitor centre, cafe, giant globe, lighthouse and Tilly Whim Caves (now closed). From Durlston Country Park the path passes Dancing Ledge and several disused quarries, a reminder of the popularity of the Purbeck stone. 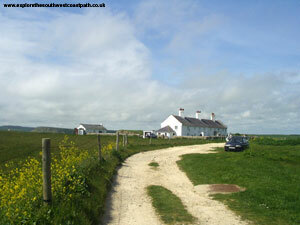 After passing the largest of the old quarries at Winspit the path ascends St Aldhelm's Head, where there is a small chapel and a pretty row of cottages. 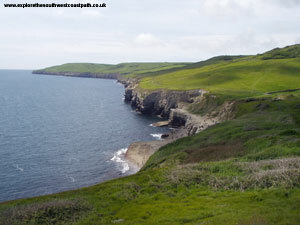 From St Aldhelm's Head there is a sharp descent then a climb up Emmett's Hill towards Chapman's Pool where the path then descends again. You may choose (as I did), to walk inland from Chapman's Pool to Kingston or Worth Matravers, for bus services back to Swanage. 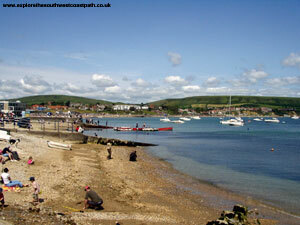 Swanage is A351 from Wareham and can also be reached across the ferry from Sandbanks on the B3369. The ferry runs regularly, but it can get very busy in the summer months. 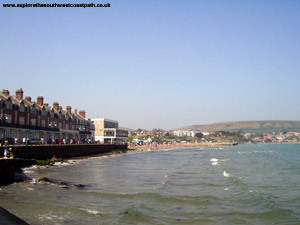 There are several car parks in Swanage, but I would recommend using the one just above the pier and heritage centre, at the west end of Peveril Point. 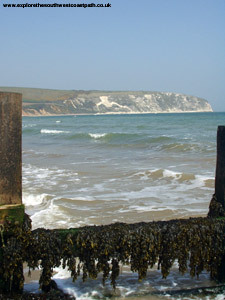 If you're traveling by public transport, there are regular bus services from Bournemouth, Branksome, Sandbanks, Shell Bay and Studland (with open top buses being used in the summer), and from Poole, Wareham, Corfe Castle, Kingston, Worth Matravers and Harmons Cross and Herston to Swanage. These buses connect with rail services at Branksome and Wareham stations, on the line from London and Bournemouth to Weymouth. For more details on these services, see the links below. 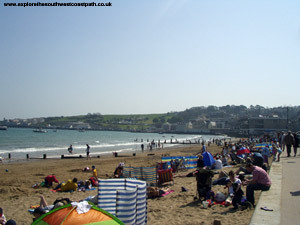 There is a good range of accommodation in Swanage and the surrounding area, and a tourist information centre in Swanage that carries local accommodation information. 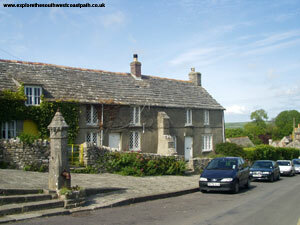 There is no accommodation at Chapman's Pool and accommodation at Worth Matravers and Kingston is very limited. The links below provide more information on accommodation in the area. 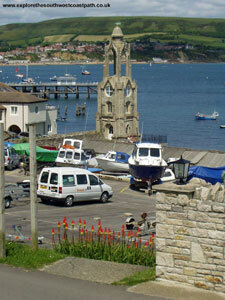 This walk begins in the small town and resort of Swanage. 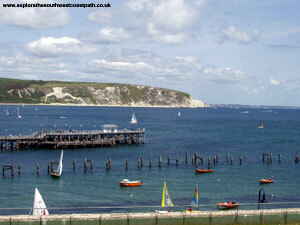 Swanage has an excellent blue flag sandy beach, theatre and cafes. There is also a small pier from where there are regular boat trips and a steam railway, running regularly to the beautiful village of Corfe Castle. 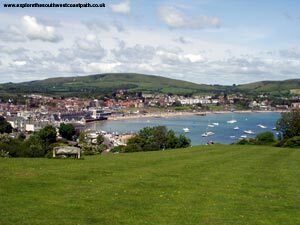 The coast path is not well signed through Swanage, but head towards the pier to the right of the bay (as you look out to sea). 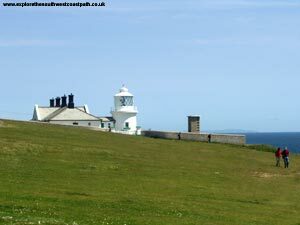 Just before you see the sign for the toll, head right along a small road, this takes you to a row of houses at the end of the headland, where the coast path becomes more obvious going up the cliff. 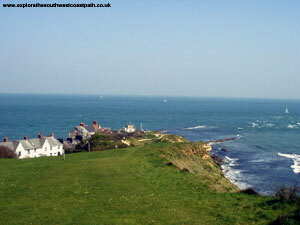 As you climb Peveril Point you get excellent views over Ballard Down and Old Harry to the right, as well as the skyline of Bournemouth in the distance and the Isle of Wight a little further to the right. To the North, there are good views round Durlston Bay. Due to erosion, the path no longer runs round the front of some houses, so you must follow the diversion along Belle Vue Road . Once round the road, the coast path is well signed to the left, where there is a sign for the visitor centre in a quarter of a mile. 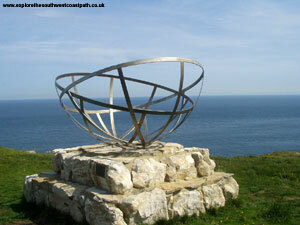 This sign marks the start of Durlston Country Park. 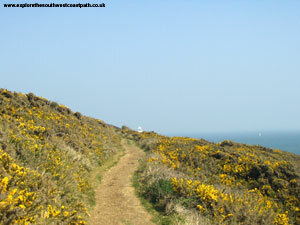 The coast path goes through some woods for a brief distance as you climb towards Durlston Head. Once at the top there is a cafe, toilets and a visitor centre, where there is a lot of information on the area. 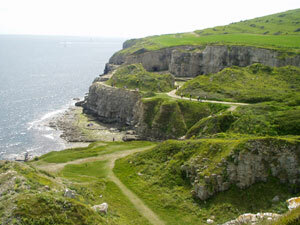 There are often guided walks from the centre and during the nesting season, a camera points over the cliffs, with the pictures shown live on a television in the visitors centre. As you come into the park, there is a sign for the giant globe. It is worth seeing this giant stone globe, which depicts the world as it was seen in the 1880's. The path continues at a low level for a short while, past a bird hide until you get to Tilly Whim Caves. The path descends from here down to the sea level. The Tilly Whim Caves are the remains of an old quarry, but due to falling rocks are now closed to the public. 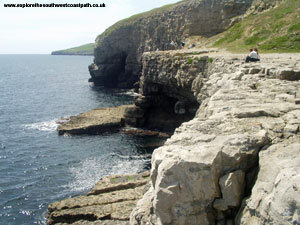 This area is especially spectacular in strong winds, where the sea crashes over the rocks below. 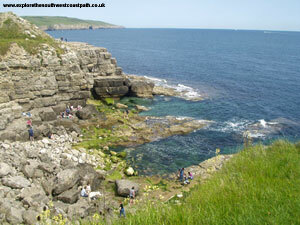 There is a short climb up again from the caves up towards the Lighthouse on Anvil Point. 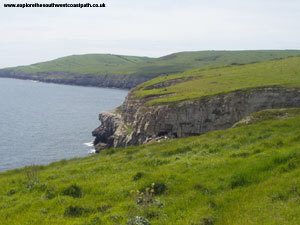 From Anvil Point, the coast path continues along towards Dancing Ledge and there aren't many hills along this sections. There are few little streams coming down the hills to the right, making the path a bit muddy in places. Most of this land is open access, so you don't have to stick along the coastal part of the path if you don't want to. There is quite a bit of gorse along the path here, which is very pretty when it is in flower. After around one and a half miles you come to a point where there are a couple of ugly communication masts, where the path descends slightly. 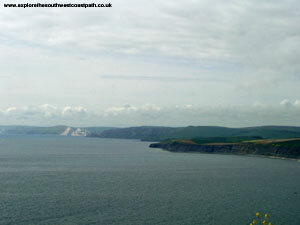 The view from here towards St Aldhelm's Head are spectacular. Soon you will see Dancing Ledge in the distance. This is the remains of an old quarry, where there are two ledges left sticking out into the sea, the lower one is low enough to get partially covered by the tide. The old quarry buildings are now closed off, but you can walk all around the ledge and some of the caves around. 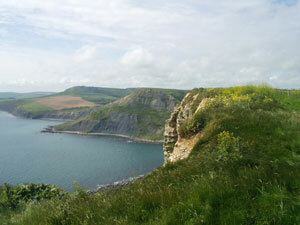 Dancing Ledge is also popular with Rock Climbers. 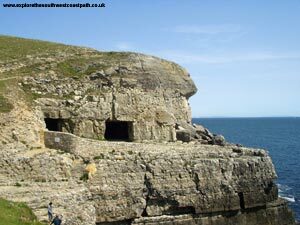 Shortly after Dancing Ledge there is another small disused quarry with a smaller ledge. Shortly after this quarry you get to the larger disused Seacombe Quarry. 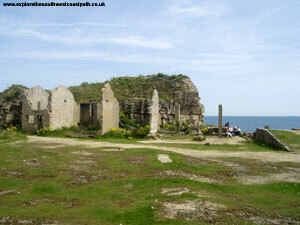 The coast path actually goes round the back of the quarry, but you can walk down into it to the coast. 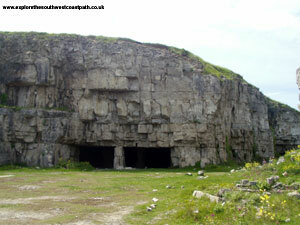 Although the quarry caves are fenced off, there were plenty of people walking around inside. From the quarry here you can see another larger quarry, further rounds the coast at Winspit. 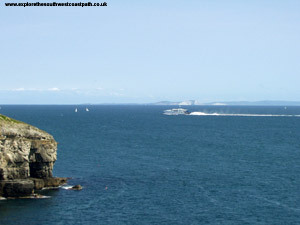 As you climb out of Seacombe Quarry you get good views back round the coast to Durlston Head. 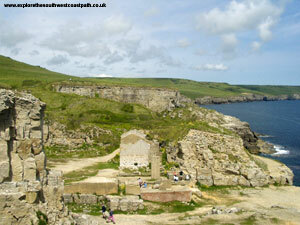 You can also see the huge Winspit Quarry coming up towards St Aldhelm's Head. As you approach the quarry, you can see down into it, where there is another small ledge, many old caves and the remains of some other buildings. 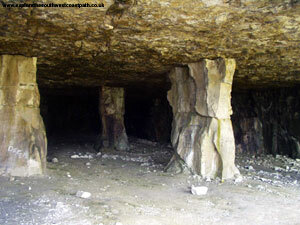 This was a much larger quarry than the others and, unlike Tilly Whim, you can still walk around the old caves here. Although fairly ugly it is interesting to explore. 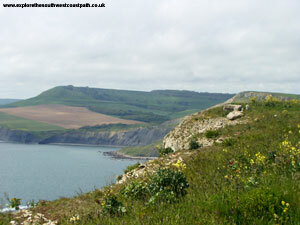 As the path heads towards St Aldhelm's Head it climbs gently and passes the remains of yet another quarry just before the headland. 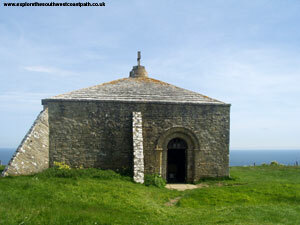 As St Aldhelm's Head there is an unusual sculpture and the tiny St Aldhelm's Chapel. This is a tiny chapel, open to the public at the top of the headland, although it is very dark and not very welcoming inside. 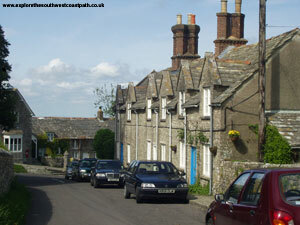 There is also a row of houses just next to the chapel which are quite attractive. As you round the headland you get the first views of Houns Tout Cliff and the cliffs beyond towards Kimmeridge, Worbarrow on Lulworth, as well as (if it's clear), view of Portland in the distance. Unfortunately, as you round the corner there is a very steep descent followed by a steep climb back up to Emmetts Hill. 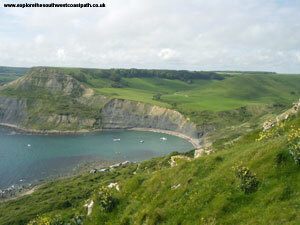 Once up the hill you get superb views of Chapman's Pool below, which is in my opinion, as spectacular as Lulworth. The cove at Chapman's Pool is quite small, but the lack of roads nearby mean the beach is usually fairly quiet and is reasonably pleasant and very sheltered. 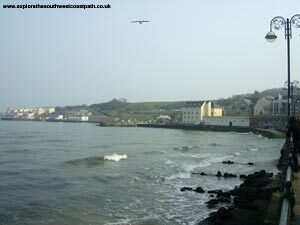 As you approach, there are a couple of boat houses by the seafront below, but it is otherwise undeveloped. 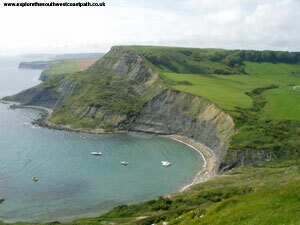 Once you've taken in the excellent views, the path heads a little bit inland towards West Hill. Here you face a choice - a path goes off to the right, that takes you into Worth Matravers, where there are limited bus services to Swanage, Corfe Castle, Wareham and Poole. 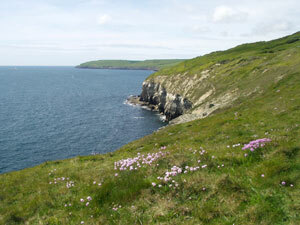 Alternatively (as I did), continue along the coast path and descend to Hill Bottom. 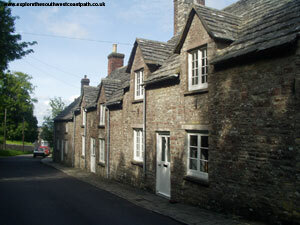 To return from Hill Bottom, there are buses from the village of Kingston (around a mile inland), or the village of Corfe Castle, around 3 miles inland. For more details on these bus services, see the section below. As mentioned above, there is only a tiny road down to Hill Bottom, and there are no bus services from here. 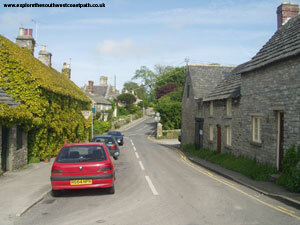 The alternative is to head East before you get into Hill Bottom and walk into the village of Worth Matravers (a little over half a mile inland). From Worth Matravers there are a few bus services to Swanage, Corfe Castle, Wareham (including the station), and Poole however they are infrequent and finish very early in the day. 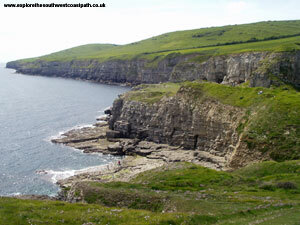 You might decide to start from Worth Matravers instead, and walk from there to Swanage. There are more frequent buses (generally hourly, but with the odd gap), from the village of Kingston to Swanage, Corfe Castle, Wareham and Poole. Kingston is around a mile inland and there are two choices to get there. The first is to follow the small road up past the row of cottages in Hill Bottom, where there is a footpath into Kingston. Once at the end of the road, there is a footpath up the hill, at the edge of a field. As you get to the top of the hill, the path comes into a field with a gate, but continues through the gate to the right, rather than the more obvious path to the left. Once you are on the field that starts to go slightly downhill again, you should see some woods ahead. Continue, keeping to the right of this, heading towards the minor road to the farm. Once through the gate and onto this road, follow it North and it comes out into Kingston. Follow this road until you get to the Scott Arms where there is a junction with the B3069. The bus stop is just on the main road, straight ahead. The buses to Corfe Castle, Wareham and Poole go from the side with the shelter and those to Swanage go from the other side of the road, on the same side as the church. The second way to get there is to stick with the coast path round Hill Bottom until another (well signed) path goes off to the right, that also joins the minor road into Kingston. If you prefer to walk to Corfe Castle, the Purbeck Way joins the coast path at Hill Bottom, and it's around a three mile walk to Corfe Castle. The path also comes out onto the B3069, where I think there is a bus stop. Alternatively, continue to Corfe Castle, where there are hourly buses (sometimes half-hourly) to Swanage and also to Wareham, stopping at Wareham station on the way. Finally, a taxi from Worth Matravers back to Swanage is unlikely to be very expensive. Here are some photos of the walk. Click a picture for a larger version and description. 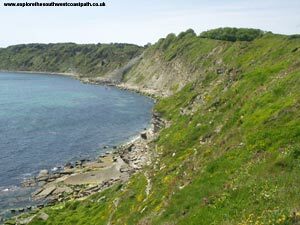 Multimap is a web site which provides maps of the UK, including around around Swanage, Chapman's Pool, Worth Matravers and Kingston. 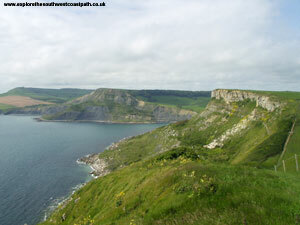 The links below will be of most use to the coast path from Swanage to Chapman's Pool and Kingston and the maps join to provide the complete coast path between these two points.